Org Unit Proximity Adjustments allow libraries to indicate lending preferences for holds between libraries in an Evergreen consortium. When a hold is placed in Evergreen, the hold targeter looks for copies that can fill the hold. One factor that the hold targeter uses to choose the best copy to fill the hold is the distance, or proximity, between the capturing library and the pickup library for the request. 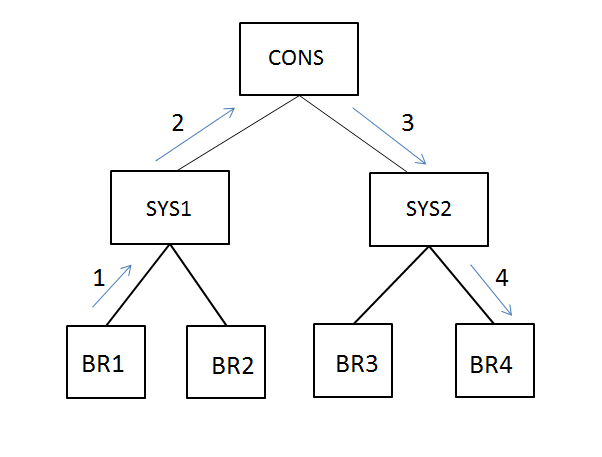 The proximity is based on the number of steps through the org tree that it takes to get from one org unit to another. Org Unit Proximity Adjustments allow libraries to customize the distances between org units, which provides more control over which libraries are looked at when targeting copies to fill a hold. Evergreen can also be configured to take Org Unit Proximity Adjustments into account during opportunistic capture through the creation of a custom Best-Hold Selection Sort Order. See documentation <here> for more information on Best-Hold Selection Sort Order. An Org Unit Proximity Adjustment can be created to tell Evergreen which libraries to look at first for copies to fill a hold or which library to look at last. This may be useful for accounting for true transit costs or physical distances between libraries. It can also be used to identify libraries that have special lending agreements or preferences. Org Unit Proximity Adjustments can be created for all holds between two org units, or they can be created for holds on specific Copy Locations and Circulation Modifiers.